Brandon Batchelor is a partner at Russell & Hill, PLLC, and is the firm’s lead trial attorney. Brandon Batchelor is a partner at Russell & Hill, PLLC, and is the firm’s lead trial attorney. Brandon is a dedicated and tenacious litigator, fighting for the rights of his clients against the interests of insurance companies, corporations, and the government. 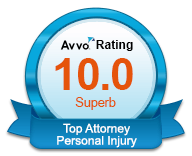 Brandon’s practice includes all areas of personal injury: serious motor vehicle collisions, premises/landlord liability, wrongful death and catastrophic injury, medical and dental malpractice, and nursing home/elder abuse. Brandon also represents those treated unfairly by their own insurance company in bad-faith actions. Brandon’s practice also includes condominium and construction defect litigation. Brandon was born and raised in Illinois, but has lived in Washington for the last 10 years. He attended Southern Illinois University as an undergrad, studying communications. He studied political science in graduate school at Eastern Illinois University. He then attended Southern Illinois University School of Law where he was President of the school’s chapter of Phi Alpha Delta, a member of the Moot Court Trial Team, and a contributor to the school’s Journal of Legal Medicine, a national peer-reviewed journal in partnership with the American College of Legal Medicine. 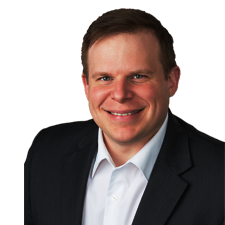 Brandon is licensed to practice in the state courts of Washington, Oregon, and Illinois. 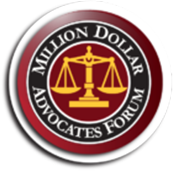 He has practiced in multiple Federal Courts around the country. 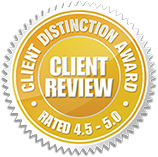 Brandon is proud to represent individuals and understands the critical role of civil litigation in our society. 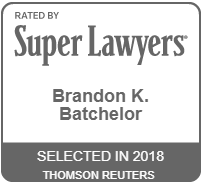 Brandon believes in the duty of attorneys to make our world a safer and more informed place. He believes in the pathway to justice and can meet he challenges created by the greed of insurance companies and corporations. Brandon is particularly interested in being his clients’ voice in the courtroom. 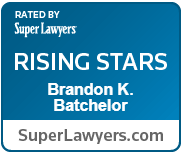 Brandon has been selected to the Super Lawyers Rising Stars list; a distinction reserved for no more than 2.5% of lawyers in Washington, and published in the Seattle Met and Super Lawyers magazine. Brandon is an Eagle member of the Washington State Association for Justice and a member of the Oregon Trial Lawyers Association. He is a member of the King and Snohomish County Bar Associations. Brandon lives in Seattle. In his free time, he enjoys cycling (having completed the STP in one day on two occasions) and travelling the world. Southern Illinois University, Carbondale, IL – B.A. Eastern Illinois University, Charleston, IL – M.A. Southern Illinois University School of Law in Carbondale, Carbondale, IL – J.D.